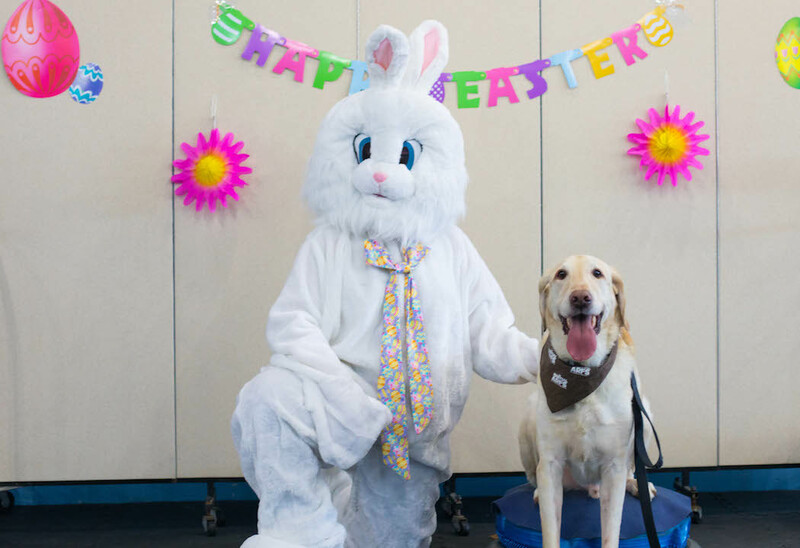 Bring your scent detecting Martial Arfer to our 5th Annual Easter Games & Egg Hunt! There will be tons of fun for all members of the family, furry, two legged alike. With great Easter themed games like "Musical Sit", "Bunny Hop", "Careful Canine", and "Wheel Barrel Races" you and your pooch sure to have something fun to do! And to finish things off we’ll have our famous Easter Egg Hunt!! Enjoy snacks for both humans and canines, and music and prizes including free classes, pool or treadmill sessions, toys, outerwear and more! It will be a great time for both dogs and owners. This event is open to all well socialized dogs whether they attend classes at The Martial ARFS or not! You won't want to miss this event!! The cost this fun time for you and your dog is $15 and you must register for this event. To register sign up in The Martial ARFS APP (Download Links Below) CLICK HERE to register online, call us @ 1.516.280.8331, or email us carleplace@martialarfs.com for more information.